Hey all, just wanted to let you know about a swap my friend Megan is hosting! 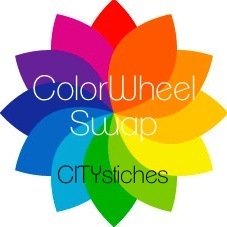 She's hosting a Color Wheel Swap! which is what you will receive back at the end of the swap. Check out her post for more information. so go go go ! Stop it. That's going to be amazing! Thank you ma'am! We only need 3 more! So excited!!! So fun! If I wasn't going to be gone ALL OF OCTOBER, I may have signed up!